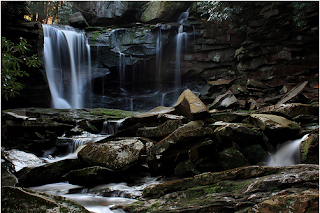 Outdoor Photographers looking for an easy-to-use camera that will help them create their next masterpiece need to look no further than the Canon EOS Rebel T3i. The next in a long line of phenomenal compact DSLRs, the EOS Rebel T3i continues the Rebel tradition of easy operation, compact design and no-compromise performance every outdoor photographer/videographer is looking for. Featuring Canon's newest DIGIC 4 Image Processor and an 18.0 Megapixel CMOS Image Sensor - plus cutting edge technologies like Full HD video recording, Live View shooting, Wireless flash photography and even a Vari-angle 3.0-inch LCD monitor - the EOS Rebel T3i offers the best of EOS photography in a compact package. The EOS Rebel T3i features an expanded ISO range that makes shooting possible in situations previously unthinkable without flash. 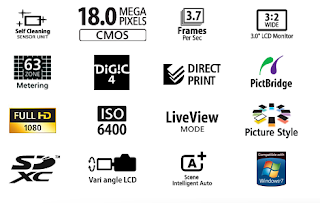 With an ISO rating up to 6400 (expandable to ISO 12800), along with the DIGIC 4 Image Processor's improved noise-reduction technology, creative possibilities abound. Combine the EOS Rebel T3i with one of Canon's EF or EF-S lenses with Optical Image Stabilizer and the shooting possibilities for both movies and stills expand even further into those hours crucial to outdoor photography. The EOS Rebel T3i does not just shoot video clips, it offers the enhanced ease-of-use, image quality, smooth frame rates and adaptive exposure compensation necessary in a professional video-making tool by boasting the most advanced EOS video capturing features to date: When Full HD (1920 x 1080) is set, you can use Movie Digital Zoom to magnify the center of the image by approximately 3-10x. With the Video Snapshot feature, the EOS Rebel T3i DSLR will capture short video clips (of 2, 4 or 8 seconds) then combine them automatically into one video file as a snapshot or highlights “album.” With no editing needed after shooting, the compiled video is perfect for sharing online or displaying directly on an HDTV via the camera's HDMI port. In addition to a number of different recording size and frame rate modes, the EOS Rebel T3i enables easy manual control of exposure, focus and Live View features and even allows for in-camera editing. 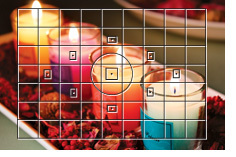 The large CMOS sensor and compatibility with over 60 lenses provide a wealth of depth-of-field options. And it's all as easy as the press of a button — the EOS Rebel T3i has a dedicated Live View/Movie Recording start/stop button that gets the shooting started fast. Full HD Video is captured at 1920 x 1080 resolution at 30p (29.97), 24p (23.976) or 25p frames per second, for up to 4GB per clip. Videos are saved as .MOV files and can be viewed in Full HD with HDMI output. Other recordings sizes include HD at 1280 x 720 (50p/60p (59.94) fps) or SD/VGA at 640 x 480 (30p (29.97) and 25p fps). The EOS Rebel T3i DSLR's new Scene Intelligent Auto mode unites five Canon digital camera technologies – the new Picture Style Auto, plus Automatic Lighting Optimizer, Automatic White Balance, Autofocus, and Automatic Exposure –into a powerful new feature for photographers. Using the advanced EOS Scene Detection System, the camera automatically analyzes the image, taking into account faces, colors, brightness, movement and contrast. 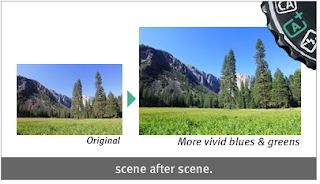 Scene Intelligent Auto then chooses the enhancing features to deliver maximum impact. Blues and greens are more vivid, “hot” colors are more fiery, and skin tones are smooth and truer to life. 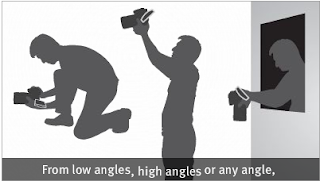 The Canon EOS Rebel T3i DSLR demystifies great photography by including an in-camera Feature Guide. Appearing on the camera's LCD, the Feature Guide displays a simple description or advice for the respective function. It is displayed in each shooting mode, during Mode Dial operations, and for Quick Control screen functions (during normal shooting, Live View shooting, movie shooting, and playback). The Feature Guide appears automatically during Mode Dial operations and when a function is selected on the Quick Control screen. 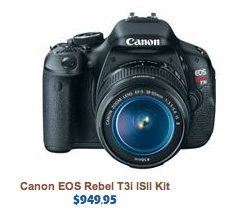 The EOS Rebel T3i uses popular SD, SDHC and SDXC memory cards. Compact, inexpensive and available in increasingly large capacities, SD, SDHC and SDXC memory cards are a perfect complement to the EOS Rebel T3i DSLR's compact and lightweight body design. Additionally, the EOS Rebel T3i is compatible with Eye-Fi* SD cards, which are outfitted with a Wi-Fi transmitter (IEEE 802.11b/g) and an internal antenna for wireless, high-speed transfer of images. With an Eye-Fi card installed, the EOS Rebel EOS Rebel T3i can display the Eye-Fi's connection status and error notes with ease, for fully functional wireless uploading of images directly from the camera. 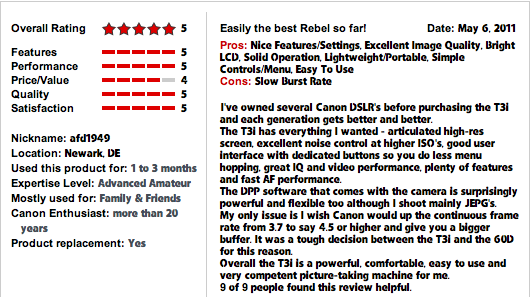 Item Reviewed: Canon EOS Rebel T3i 18-55mm IS II Kit 9 out of 10 based on 10 ratings. 9 user reviews.